Welcome to our magnificent May Newsletter! We've got some more morsels for you to munch and mull over during this exciting month. Why may you ask is May so exciting? Well apart from this newsletter which we know you will find riveting, May my friends is the month that our poli's roll out the Federal Budget. To let you in on a little secret, this is akin to the AFL Grand Final or Kelly Slater in the flesh at Snapper Rocks for tax nerds across the land! OMG, we are are having heart palpitations just thinking about it! Don't worry, we promise we will be doing a special Budget Newsletter so you too can share in the joy and hear what tax policies our illustrious leaders have dreamed up. Yep, we agree, it doesn't get much more exciting! Once again, multiple changes to laws and legislation have been made that could impact your personal or your businesses' obligations and requirements for tax. So we've managed to compile the multitude of changes and give you a more manageable selection of these important changes so you can stay up to date. Time to put on your fuzzy slippers, grab a cup of tea and a biscuit or two... or three... and release your inner tax nerd once more. From 1 July 2017, the spouse's income threshold will increase to $40,000. The current 18% tax offset of up to $540 will remain and will be available for any individual, whether married or de facto, contributing to a recipient spouse whose income is up to $40,000. As is currently the case, the offset gradually reduces for incomes above $37,000 and completely phases out at incomes above $40,000. From 1 July 2017, the new low income superannuation tax offset (LISTO) will be introduced and will replace the low income superannuation contribution (LISC). Eligible individuals with an adjusted taxable income of up to $37,000 will receive a LISTO contribution into their superannuation fund. The LISTO will equal 15% of total concessional (pre-tax) superannuation contributions for an income year. However, this will be capped at $500. LISTO is intended to support low-income earners and ensure they do not have to have more tax on their superannuation contributions than they would pay on their salary and wages. To improve flexibility in the superannuation system, from 1 July 2018, individuals will be able to make 'carry-forward' concessional superannuation contributions if they have a total superannuation balance of less than $500,000. Individuals will be able to access their unused concessional contributions cap for an income year on a rolling basis for five years. Amounts carried forward that have not been used after five years will expire. The first year in which an individual will be able to access unused concessional contributions is the 2019-20 income year. Lodge your tax return for the relevant income year. You must not have contributed more than your non-concessional contributions cap. From 1 July 2017, all individuals under age 75 will be able to claim a deduction for personal contributions they make to their superannuation funds. Currently only individuals who derive less than 10% of their income from employment can claim this tax deduction. However, this condition is being removed to bring more flexibility into the superannuation system and allow more people to utilise their concessional contributions cap. Note that all the other conditions are remaining. Individuals will have to lodge a notice of their intention to claim the deduction with their superannuation provider should they wish to claim this deduction. Generally, this notice will need to be lodged before lodging your income tax return. You can choose how much of your personal superannuation contribution to claim a deduction for. Note that these amounts count towards an individual's concessional contributions cap and will be subject to 15% contributions tax in the fund. Certain untaxed and defined benefit superannuation funds will be prescribed, meaning members will not be eligible to claim a deduction for contributions to these funds. If a member of a prescribed fund wishes to claim a deduction, they may choose to make a personal contribution to another superannuation fund. Therefore, should you intend to make extra personal contributions, you will have to consider if your fund can receive them. Note also that the government announced that it will retain the work test for individuals aged 65 to 74. From 1 July 2017, the concessional contributions cap is $25,000 for everyone. Prior to this, it was $35,000 for people 49 years and older at the end of the previous income year and $30,000 for everyone else. The new cap will be indexed in line with average weekly ordinary time earnings (AWOTE), in increments of $2,500 (rounded down). Before 30 June 2017: If you would like to make extra concessional contributions, check how much concessional contributions have been made on your behalf to all your super funds since 1 July 2016, first estimate the amount of contributions that will be made on your behalf (eg by your employer) before 30 June 2017 or through an existing salary sacrifice arrangement, then work out the gap between these amounts and the amount of concessional cap that is relevant to you that remains before you make additional concessional contributions. After 1 July 2017: If you would like to make extra concessional contributions, ensure that your concessional contributions made throughout the year from yourself, made on your behalf or through a salary sacrifice arrangement do not exceed $25,000. From 1 July 2017, the annual non-concessional contributions cap will be reduced from $180,000 to $100,000 per year. This will remain available to individuals between 65 and 74 years old if they meet the work test. The cap is set at four times the concessional contributions cap (i.e. 4 x $25,000) and will be indexed in line with the concessional contributions cap. In addition, from 1 July 2017, your non-concessional contributions cap will be nil for the income year if you have a total superannuation balance greater than or equal to the general transfer balance cap (which is $1.6 million for the 2017-18 income year) at the end of June of the previous income year. In this case, if you make non-concessional contributions in that year, they will be treated as ‘excess non-concessional contributions’ and taxed at a much higher rate. There is a ‘bring-forward’ arrangement for individuals under 65, who may be able to make non-concessional contributions of up to three times the annual non-concessional contributions cap in a single year by bringing forward the non-concessional contributions cap for a two- or three-year period. If eligible, when you make contributions greater than the annual cap, you automatically gain access to future-year caps. From 1 July 2017, the non-concessional contributions cap amount you can bring forward, and whether you have a two or three-year bring-forward period, will depend on your total superannuation balance at the end of June of the previous income year. You must have a total superannuation balance of less than $1.5 million. The remaining cap amount for years two or three of a bring-forward arrangement is reduced to nil for an income year if your total superannuation balance is greater than or equal to the general transfer cap at the end of the previous income year. Currently, individuals with income and concessional superannuation contributions greater than $300,000 will trigger a Division 293 assessment. The concessional contributions (except excess contributions). The ATO will send an email or SMS to individuals who will receive their first Division 293 tax assessment or, who will receive it in myGov if they have linked their account to the ATO. These emails and SMS will only issue during peak assessment periods – you may have already received one in November 2016 or could do so between April and early June 2017. From 1 July 2017, the tax-exempt status of earnings from assets that support a Transition to Retirement Scheme (TRIS) will be removed. Earnings from assets supporting a TRIS will be taxed at 15% regardless of the date the TRIS commenced. TRIS are currently available to assist individuals to gradually move to retirement by accessing a limited amount of their superannuation. Where a superannuation fund member is currently receiving a TRIS, their fund receives the earnings on the assets used to support the TRIS on a tax-free basis. Earnings on assets supporting transition to retirement income streams will now be taxed concessionally at 15%. This change will apply irrespective of when the transition to retirement income stream commenced. Individuals will also no longer be allowed to treat certain superannuation income stream payments as lump sums for tax purposes. The intent of this change is to ensure that TRIS are used to support individuals who are still in the workforce and are transitioning out, rather than being accessed mainly for tax purposes. Currently, there are rules restricting the development of new retirement income products. From 1 July 2017, the government will remove these barriers by extending the tax exemption on earnings in the retirement phase to innovative products, such as deferred lifetime annuities and group self-annuitisation products. The intent of the change is to provide greater choice and flexibility for retirees to manage the risk of outliving their retirement savings. From 1 July 2017, the superannuation transfer balance cap of $1.6 million will apply. This means there will be a limit on how much of your superannuation you can transfer from your accumulation superannuation account to a tax-free ‘retirement phase' account to receive an account-based pension income. The transfer balance cap will start at $1.6 million, and will be indexed in line with the consumer price index (CPI), rounded down to the nearest $100,000. Individuals will need to track their own individual transfer balance cap. The amount of indexation you are entitled to will be calculated proportionally based on your available cap space. Only the amount of remaining cap space is indexed. Individuals will not be entitled to indexation if they exceed their transfer balance cap. However, you will be able to make transfers into the retirement phase so long as you have not reached your transfer balance cap. Retirement phase income streams that started before 1 July 2017 will be counted towards the transfer balance cap on 1 July 2017. New pension accounts starting from 1 July 2017 will count towards the transfer balance cap when they commence. If you are currently in excess of your transfer balance cap, then you may have to remove the excess from the retirement phase account and pay tax on the earnings in excess of the cap. Different tax rules will apply if you receive a capped defined benefit income stream as you usually cannot transfer or remove excess amounts from these pensions. These pensions are commonly provided by defined benefit funds, but may be provided by other funds, including some self-managed superannuation funds (SMSFs). If you have to move assets out of your retirement phase account back into your accumulation account to be under the cap before 1 July 2017, capital gains tax (CGT) relief is available to your superannuation fund to reset the cost base(s) of these assets. CGT relief is available if your fund holds the assets between 9 November 2016 and 30 June 2017. From 1 July 2017, the government will remove the ‘anti-detriment’ provision preventing superannuation funds from claiming a deduction in their own tax return for a top-up payment made as part of a death benefit payment where the beneficiary is the dependant of the person. The top-up amount represents a refund of a member's lifetime superannuation contribution tax payments into an estate. Removing the ability of the superannuation fund to claim this deduction is intended to ensure consistent treatment of lump sum death benefits across all superannuation funds. Superannuation funds may continue to claim a deduction for an anti-detriment payment as part of a death benefit if a fund member dies on or before 30 June 2017. The fund has until 30 June 2019 to pay the benefit. Funds cannot include anti-detriment payments as part of a death benefit if the member dies on or after 1 July 2017. To do! These changes to superannuation are significant and will affect individual taxpayers differently, depending at what stage of working life individuals are at – low income earners or high income earners, in or out of the work force for the time being, nearing retirement or in retirement. Be ‘SuperWise’ – you should speak with us to help determine how the changes impact on you, for example, whether you should take advantage of any of the changing caps now to top up your superannuation or reconsider how to plan for your retirement. The ATO has released three new tools you can use to work out if you are eligible to be paid superannuation contributions from your employer, and how much. There is also a tool to report employers failing to pay super contributions. The ATO is currently reviewing arrangements where individuals (at, or approaching, retirement age) purport to divert personal services income to a self-managed superannuation fund (SMSF) to minimise or avoid income tax obligations as described in TA 2016/6 Diverting personal services income to self-managed superannuation funds. Under these arrangements, an individual performs services for a client. The individual does not directly receive any, or adequate, remuneration for the services they provide. Instead, the client is instructed to pay fees or remuneration for the service provided by the individual to a company, trust or other non-individual entity. The relevant non-individual entity then distributes the income to a SMSF, of which the individual is a member, as a return on investment. The purported outcome of the arrangement is that the income is either exempt from tax or taxed concessionally rather than being subject to tax at the individual's marginal tax rate. The ATO is aware that there have been many superannuation changes since July 2016 including extensive superannuation reforms enacted in November 2016. SMSF trustees and advisors have been required to understand how those changes impact their funds and to address them. The due date to contact the ATO in relation to TA 2016/6 has been extended to 30 April 2017. If you have an arrangement as described in TA 2016/6 or a similar arrangement, please contact the ATO (email: SMSFStrategicCampaigns@ato.gov.au and put ‘TA 2016/6' in the subject line, include the SMSF trustee name(s), contact details and a time that is convenient for the ATO to call you so that the ATO can work with you to resolve any issues in a timely manner, and minimise the impact on you and the fund. On 25 January 2017, the Minister for Revenue and Financial Services, the Hon Kelly O'Dwyer MP, released a statement about the government's new multi-agency working group that will investigate and develop practical recommendations to deal with superannuation guarantee non-compliance. Chaired by the ATO and comprising senior representatives from The Treasury, the Department of Employment, ASIC and APRA, the working group will identify the drivers of non-compliance, develop ways to improve compliance and policy options to ensure the law remains fit for purpose for Australia's $2 trillion superannuation system. The final report of the working group was due at the end of March. At the time of writing, the report was not available. Tip! You should ensure your employer is paying the right amount of superannuation guarantee on your behalf. If you are unsure of what the correct amount should be, book an appointment for our advice on this matter. The ATO has been paying extra attention to people claiming higher than expected deductions during TaxTime 2016. Individuals should make sure their claims for work-related expenses are right by using the series of occupation guides or other general advice available on the ATO website, which can help people in specific industries understand and correctly claim the expenses they may be entitled to. If you use myTax to lodge your return, your claims are compared with the claims of taxpayers in similar occupations and with similar income, giving you a real-time warning if your claims are unusually high in comparison. You can visit the ATO to learn more about work-related expenses and the occupation guides. However, it is best to see us for advice if you are unsure what deductions you are entitled to or how much you can claim. The ATO's myDeductions tool in the ATO app can help you keep track of your work-related expenses, car trip data, gifts and donations. You can record your expenses on the go using your phone or device. 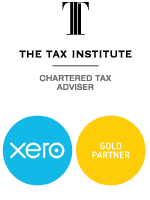 Come tax time, you can then email your deductions file to your tax agent to review, who can then advise you on your claims and lodge your tax return. You can also keep the file on record in case you need it later. If you use the upload feature in the app, your tax agent can access your data via the Practitioner Lodgement Service and check it before lodging. The Administrative Appeals Tribunal (AAT) has found that a first class sheet metal worker employed at an alumina refinery in Western Australia was not entitled to deductions for the cost of transporting his tools and equipment between his home and his workplace. It is accepted that one exception to the general rule that the cost of travel between home and work is not deductible is where an employee is required by his or her employer to carry bulky tools or equipment from home to work and no secure storage is provided by the employer to the employee to store the tools and equipment at the worksite. In this case, the evidence established that the taxpayer's employer provided him with a locker to store his tools and equipment at his primary place of work. The taxpayer said that it was his decision to take his tools and equipment home each night as he did not believe the storage lockers provided by the employer to be secure. The AAT found that the taxpayer was not entitled to a deduction for any amount of his work related travel expenses as he was not required by his employer to carry his bulky tools and equipment from home to work. By his own admission, this was the taxpayer's own personal choice, arising out of his unsupported safety concerns. Note! If you are in a similar situation and are claiming a deduction for the cost of travel from home to work because you are taking bulky tools home with you, you should come in and talk to us to confirm whether you are entitled to this deduction. If you own a holiday home you can only claim tax deductions for expenses to the extent the home is rented out or genuinely available for rent. Even if you do not rent it out, there are capital gains tax implications when you sell it. Money you earn from renting out a room in your house is rental income. This applies to rooms rented by traditional means or through a sharing economy website or app. The ATO has examples on its website to help you understand how claiming deductions works when renting rooms, or your main residence, on an occasional basis. To do! If you are renting a room out or your home out using a service like Airbnb or Stayz, you should talk to us to ensure you are not only declaring the right amount of income, but also claiming any deductions you may be entitled to for earning income this way. The Tax Institute. 2017. ‘Taxwise Business News April 2017’, Tax Wise Business News e-newsletter, April.